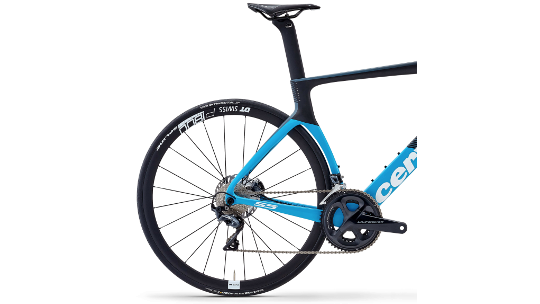 The class-leading aero road bike now has disc brakes! 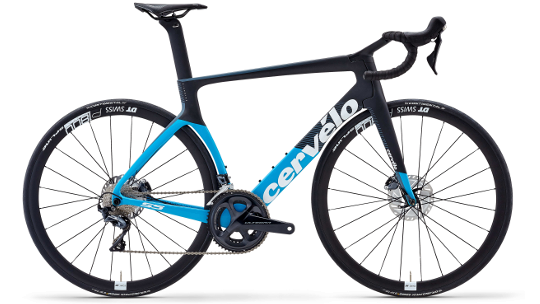 Cervélo invented the aero road bike with the Soloist models. The new Cervélo S5 Disc ensures that Cervélo remain at the forefront of the genre. The new dedicated bar and stem offer the ultimate in aerodynamics along with the capability to adjust the front end to fit a wide variety of positions and preferences. 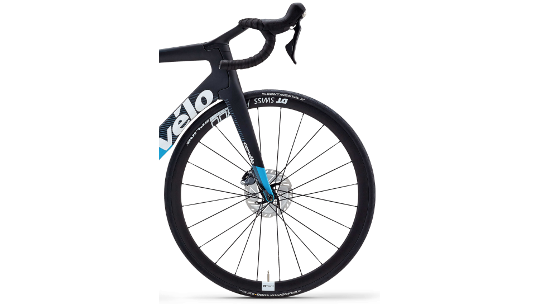 With the move towards bigger section tyres, the new Cervélo S5 Disc will also fit up to 28s giving greater comfort and potentially improving the aerodynamics of the wheel/tyre combination. Added to increased bottom bracket and headtube stiffness, the Cervélo S5 Disc Ultegra really is the ultimate aero weapon for road races, crits or even triathlon. This edition of the Cervélo S5 Disc is kitted out with Shimano's brand new Ultegra 8020 disc groupset that provides instant stopping power, smooth shifting and lightweight components as well as the DT Swiss wheelset that is perfect for training or local racing opportunities. The S5 boasts substantial aerodynamic improvements over its predecessor. Full internal cable routing, a custom bar and stem, riding position, and special frame shapes work together to reduce drag and improve aerodynamics. The result: you go faster. The best sprinters in the world need a bike stiff enough to handle the extreme forces they produce in the frantic sprint to the line. The new S5 Disc is significantly stiffer at the bottom bracket and head tube, without increasing frame weight. You'll feel the difference immediately. Frame stiffness and geometry work together for precise handling and pedalling efficiency. Frame lay-ups and tube shapes, along with tyres up to 28mm wide, soak up road vibrations for a smoother ride. Please note finance is only available to UK residents.